When it comes to the business world and office documents, there are tons of file formats, extensions, and associations to be considered. When Adobe came out with the PDF format it was to be the “standard” and even that can be sometimes be difficult when dealing with conversion for different tasks and software utilities. One problem that occurs in desktop publishing is being able to convert data from one program to another. 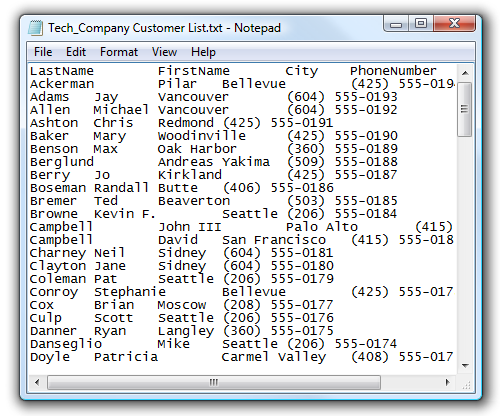 This is where converting data into a text or Tab Delimited file comes in handy. 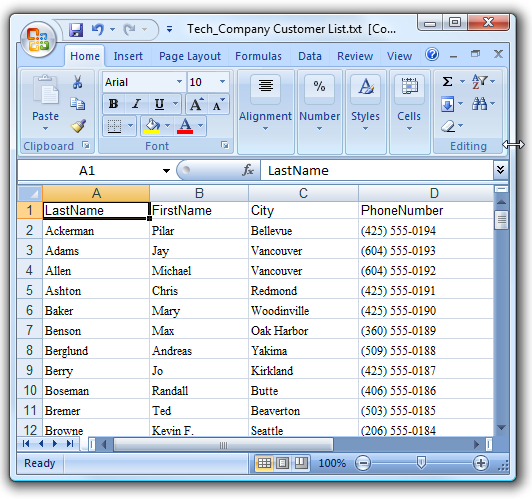 You will lose color and font formatting, but you will have the proper data arranged in columns and rows that will make it much easier to manipulate in another program. 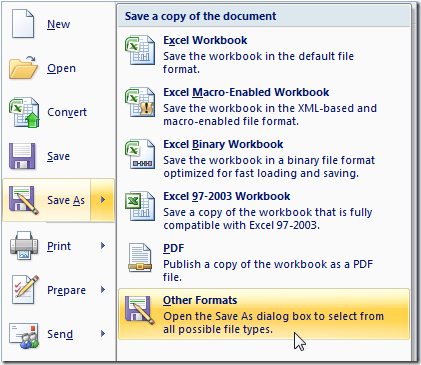 Click the Office Button and choose Save As Other Formats. The resulting text file can then be opened and used in basically any office or desktop publishing application you choose.